That, of course, means that it’s time for the annual Happy Honda-Days sales event, which allows for a number of great financing and lease options on 2014 and 2015 model year Honda vehicles. What makes the Honda-Days sale even more fun this year, however, has been the TV ads, which feature a lot of toys from the 1980s. 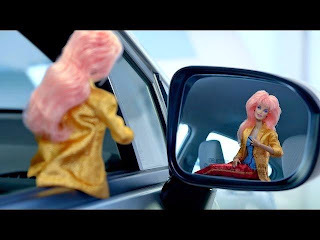 Jem, Skeletor, Stretch Armstrong, Strawberry Shortcake and G.I Joe serve as the stars of these commercials, each of which centers around the idea that any Honda vehicle could be just as exciting a gift as any of these toys that 30-somethings wanted so badly when they were kids. Gumby and Pokey aren’t your typical modern day salesmen, especially for something as pricy as a car, but we respect what Honda is trying to do by dishing up some nostalgia for one of the market’s most profitable groups of consumers. Whether you’re in the market for a new 2015 Honda Accord or a 2015 Honda CR-V, the Happy Honda-Days sale has great APRs and leasing deals right now. Come pay us a visit any time to test drive any of these vehicles. Unfortunately, ‘80s toys not included.